French leader of exportations outside EU. Each week hundreds of animals are exportated to coutries of North Africa and Middle East. Your every day partner, worldwilde exportations, hundreds of cattle each week. This is while the trucks are unloaded that we checked the animals before loading them into the vessel. Our business is our passion. We know our clients and they know us. 4 generations of experience at your service. We care of your animals from their loading untill their unloading. Auroch is the french leader for catlle exportations outside European Union to the countries of North Africa and middle East. Each week catlle for slaughter, breedind or fettening are loaded by full livestock vessels from the port of Sete - France. The animals are exportated to countries like Turkey, Lebanon, Algeria, Tunisia and Libya. We take care of the catlle from their loading in the truck directly in the farm untill their final destination in the port of the importing country. From now on it has been the fourth generation of Houot family which has been working in livestock business. With more than 50 000 heads of cattle exportated in 2015, Auroch is the leader on the market of export outside European Union of alive cattle in France. The animals are drove to the port of loading, or directly at destination by special livestock trucks. 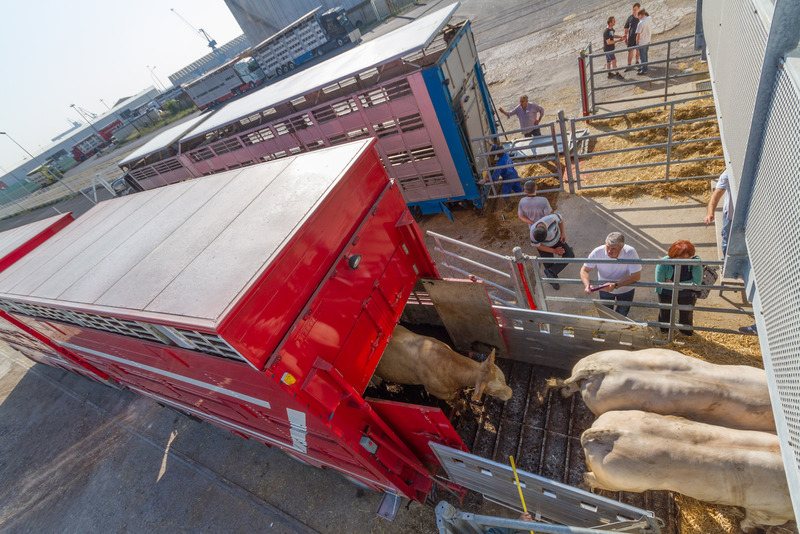 Then, the cattle are unloaded in a stable in order to rest for a few moments, to be sorted out, and now they are ready to be loaded in the vessel. All the logistics is organized in order to the loading of the vessel to be as fast as possible. On board, a special formed crew take care of the cattle during all the sailing untill their arrived to the port of destination. Auorch owns very good relationship with his livestock carrier in order to supply the best in transportation. Livestock trading is our business for decades. International society, Auroch and Socobev are specialized in alive ovine and bovine exportation.